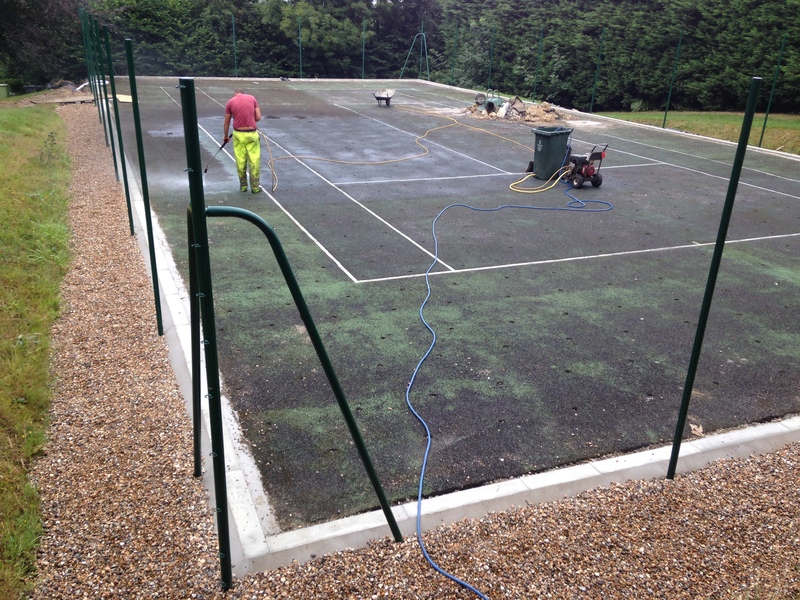 We are specialists offering macadam surface maintenance to outdoor sports courts, helping to keep these areas clean and safe. Tarmac is one of the most popular surfacing types for sport facilities at schools and clubs, and these need to be looked after with regular cleaning and repairs where necessary. 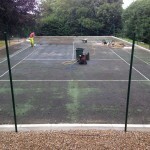 Our team can complete this work and make sure that your courts are in top condition all year round. 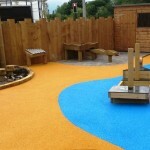 Get in touch with us now to find out more about all of the services we can offer to look after your tarmac court. All you need to do is fill in the quick contact form on this page and let us know what you would like us to do. 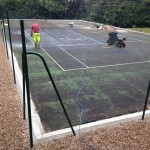 Having macadam surfacing installed is a popular choice for lots of sports facilities at a range of organisations including leisure centres, sports clubs and schools across the UK. 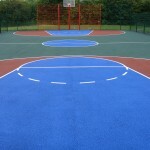 The hard tarmac surface provides great ball bounce and slip resistance qualities for sports like netball, tennis and basketball, as well as being a great all round sport flooring option for multi use games areas. In order to keep the best performance and safety characteristics for your sports facility, it’s important to carry out regular macadam maintenance and cleaning. 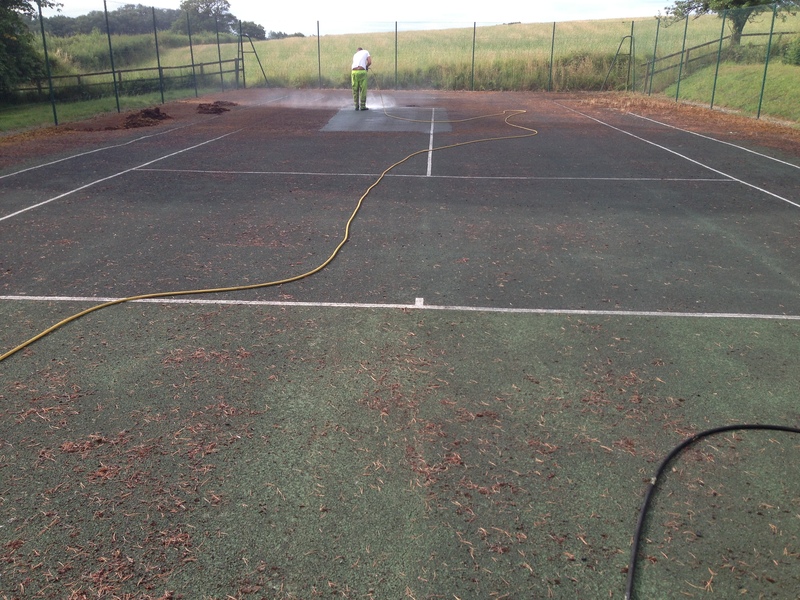 This maintenance could be as simple as brushing and jet washing the surface of the macadam sports court to remove contaminants and debris, or more thorough macadam maintenance could be required such as repairs, repainting and reline marking. If you don’t put an appropriate macadam maintenance and cleaning plan into place for your sports facility, this could lead to a number of problems such as surface damage, loss of porosity and drainage, flooding and a loss of the anti slip characteristics. 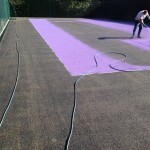 These problems can have an effect on the playing qualities and safety of the surfacing, meaning it could be unsuitable for use if the issues are not dealt with as soon as possible. This is why it’s important to carry out proactive maintenance such as brushing, pressure washing and applying chemical treatments to prevent contamination from moss and algae. 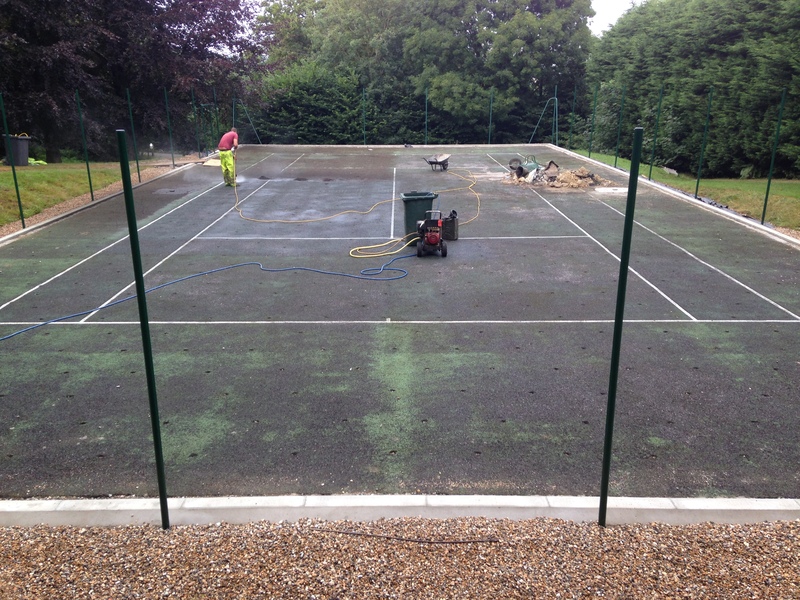 There are a number of factors which have an effect on the costs for cleaning macadam courts, for example the area size, the existing conditions of the surface and the access to site. The specification of macadam surface maintenance will of course affect the price of the works as well, because a simple cleaning job would not cost as much as a full resurfacing project. 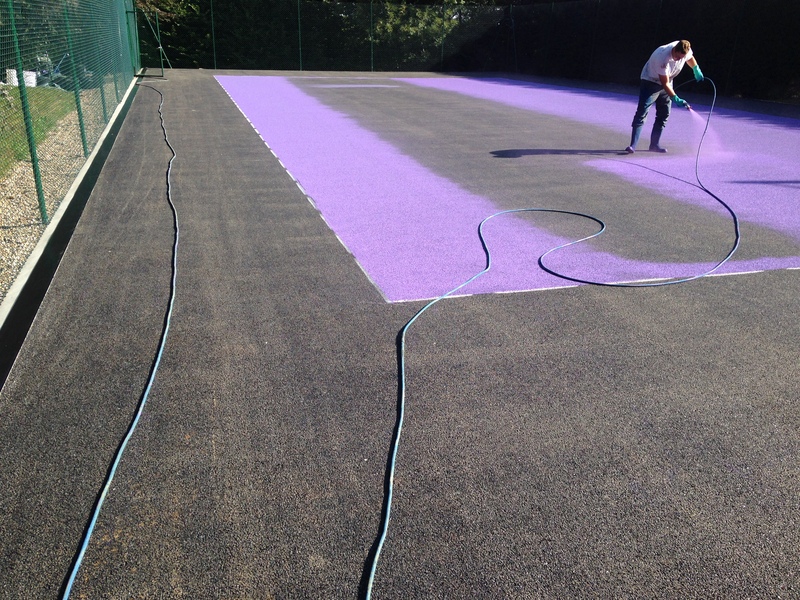 We can help you keep the overall costs for your macadam sports court down by ensuring regular proactive maintenance is carried out to reduce the effects of weathering and damage and therefore lessen the need for repairs or resurfacing which can be expensive. Cleaning and maintenance is important for any sports facility as it ensures the best possible playing qualities and keeps the surfacing safe for those who use it, whether it’s for recreational or professional use. Having a top quality sport surface which is well looked after is a great investment for any organisation as it can be rented out to other clubs and teams for evening matches and training sessions to increase your overall revenue. This is why it’s vital that you look after your macadam sports court properly to ensure you get the best possible return on investment. 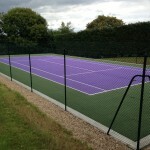 If you’d like to find out more about the various macadam services we can offer, please click here https://www.sportsandsafetysurfaces.co.uk/surface-types/macadam/ where you can see more details on installation, cleaning, painting and repairs to tarmac surfaces. 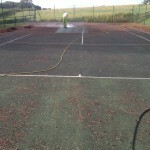 Please feel free to get in touch with us if your sports court needs some macadam surface maintenance. We will get back to you with some further product sheets and information on costs and prices for the work you need us to carry out. Fill in the quick contact box on this page and let us know what you need and your budget for the work. One of our experts will respond as quickly as possible with more information and an idea of prices.